Character: Ale Refermented in Oak Barrels with strawberries from Fredericksburg, Texas were added to oak barrels containing mature sour beer. The beer was then allowed to referment to dryness. Unfiltered, unpasteurized and naturally conditioned. Good ‘ol Jester King with yet another 5/5 rated beer. These guys just don’t stop making excellent, high quality beers. Yes, they are all sour ales due to the wild, open fermentation at their brewery, but these guys release such a variety of sour styles. 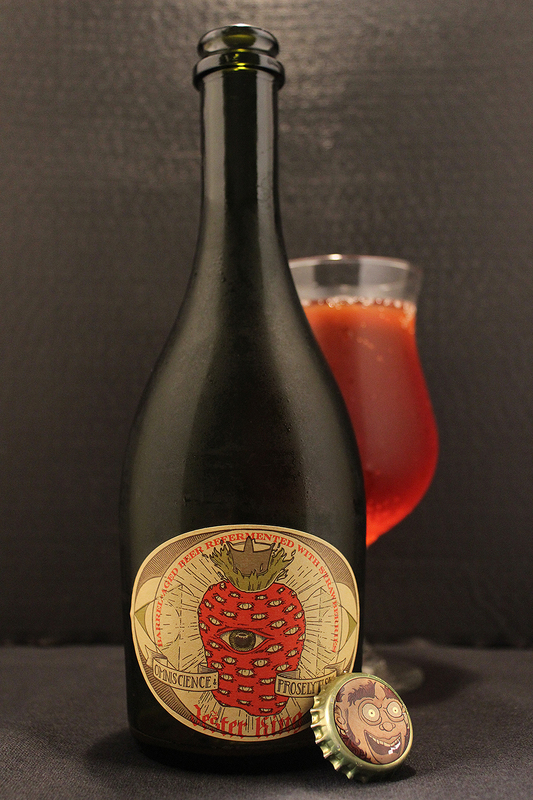 Here we have an American Wild Ale that was refermented with locally grown strawberries. This particular bottle I am reviewing was from their blend 2 batch from 2014. This beer’s first batch was released in 2013, and unfortunately, I missed getting my hands on one of those bottles. I am very happy that I was able to get a bottle of Blend 2 though. This was an amazing beer, as most of their beers are. Besides their beers usually being of high quality, I am always impressed with their beer names and label artwork. This beer name got all religious on me, but knowing about the fine folks at Jester King, I am sure this was not an attempt to be brainwashing Christians. The meaning of the word omniscience is having complete or unlimited knowledge, awareness, or understanding; perceiving all things. In certain religions there is a belief that there is a divine being who is omniscience. The meaning of the word proselytism is the act of becoming or condition of being a proselyte, or a person who has changed from one opinion, religious belief, sect, or the like, to another. My take on the name is that Jester King is saying that beer is the one and only, an omniscience beer, and claims that this beer could persuade one to enjoy this style of beer or Jester King, itself. The label features awesome artwork of a crowned strawberry that has one large all-seeing eye, with a bunch of eyes where the achenes, or the little outside “seeds” of the fruit are. There are two circle-in-triangle symbol on each side the strawberry. This symbol is identified as the absolute (supreme spirit) within the self, the infinite power of the self. Way to go Jester King with this one. For this session, I poured this beer into a tulip style glass. Omniscience & Proselytism poured a clear pinkish red color. Upon the initial pour, the beer held a crown of pink bubbly head that was about 1/8 of an inch thick. The head quickly disappeared, leaving no lacing at all on the tulip glass. This is the case with most American Wild Ales, though, at least in my experience. For the aroma of this beer, I picked up on the sour notes right away, mixed in with some oak wood, sour farmhouse funk, lemon peel, light vinegar, and definitely strawberries. The sour funkiness and the sweet candy-like smell of the strawberries mix really well in this beer. The taste was similar to the nose, but I picked up the characters in a different order. Strawberries were right up front with their notes of candy-like sweetness, floral characteristics, and slight tartness. There was a good body of oak wood, farmhouse, hay, and a flavor mix that gives off a taste of fresh lemon peel. Of course, while all of this is going on there is an overlaying sourness from the open fermentation that Jester King is now so famous for with their line of beers. The sweet flavor of strawberries linger a bit after each sip. This beer had a body that was on the lighter side of a medium thickness. It had a tart bite, low carbonation, acidic fruit body, and a dry finish. Overall, Omniscience & Proselytism was an amazing beer. Jester King hit one out of the park with this beer. Strawberries are my favorite fruit, so before going into this beer, I was already excited about it, but was fearing the worst, as I have had some beers with such a fake artificial strawberry flavoring. I should have known better than to question this with Jester King, though. Shame on me. Let’s all hope for future blends of this amazing beer. 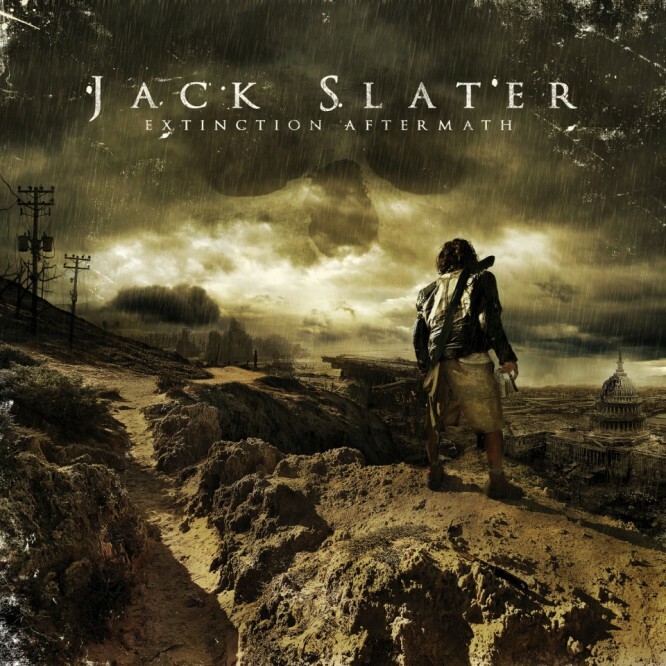 Metal Connection: For this Metal Connection, I went with the German Brutal Death Metal band, Jack Slater. I had always been intrigued by this band due to their name, since it was named after Arnold Schwarzenegger’s character in the movie, Last Action Hero, which I happen to really enjoy. Jack Slater, the band has been around since 1995, and disbanded in 2011. In this time frame, the band released a handful of demos, and four full length albums. The song chosen here is for obvious reasons, as it is titled, “Omniscience.” The song comes from the band’s final full length album, Extinction Aftermath from 2010. This song has it all, just like the beer. There are elements of Brutal Death Metal, groove, technicality. There is just great musicianship displayed on this song.